Cupcakes, sparkling cider, party favors, a mini-auction, and bacon can only mean one thing – the Cross Timbers Rotary Club is celebrating a milestone! As the Cross Timbers Rotary club celebrates its first anniversary, members paused during their weekly meeting on Friday to reflect on their many accomplishments and to prepare for an even more ambitious second year. The club enjoyed an unprecedented first year, as membership quickly expanded from an original founding group of six to an impressive 62 members at the time of their charter just a few months later. The majority of these members were first-time members to Rotary International, fulfilling the desire to create a greater awareness and involvement of Rotary on the local level. While the number of new members is significant, it is the commitment of each and every member to be involved on a daily basis that was a primary concern when the founders established Cross Timbers Rotary. To enhance the development and growth of new members, the club emphasizes personal friendships, participation in numerous social events, and involvement in local and international service projects. Appealing to the wide variety of interests of its members, the club has established a Rotary Readers Book Club, a Rotary Wine fellowship, a Fantasy Football League, a Rotary Campers group, and will be soon initiating a Rotary Gardening Club. Each of these groups meet monthly to share their passions with their Rotary friends. Cross Timbers Rotary also boasts 12 couples in their membership, creating some very special opportunities for dining with friends and special occasions, such as the fabulous Valentines dinner hosted at the home of one of the member couples. Serving the community is a priority for the club, and the members have done several local projects and helped fund international projects, as well. 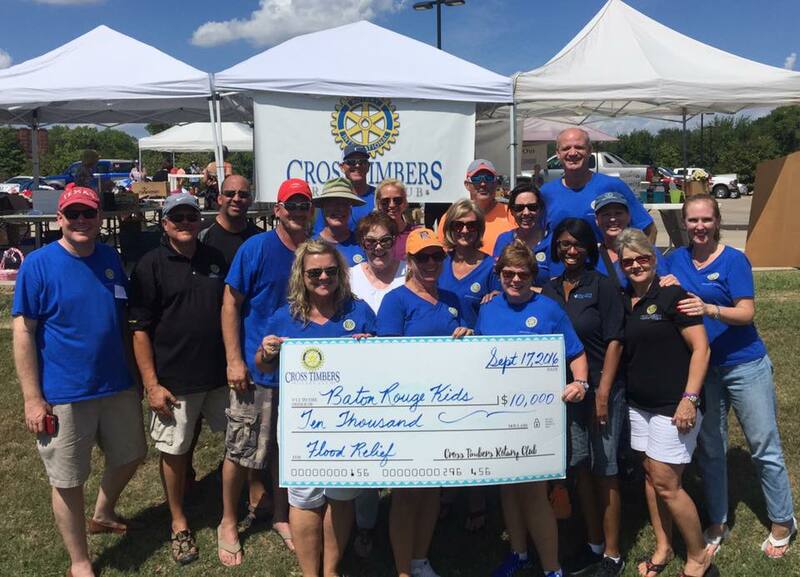 In addition, in their first year as a club, Cross Timbers Rotary awarded grants totaling $10,000 to 14 different local charities, including Communities in Schools, Children’s Advocacy Center, Friends of the Family, and Ainsley’s Angels. If you would like more information on how you can become involved with one of the most reputable service organizations in the world, with 35,000 clubs and 1.2 million members, email Cross Timbers Rotary at crosstimbersrotaryclub@gmail.com.